Consumers preparing for the holiday shopping season must do more this year than make a list and check it twice. They'd better make sure they're prepared to handle any data breach and identity thefts that come their way. One only has to remember last December when Target disclosed its credit card database had been hacked – or the admission by Neiman Marcus the following month it had suffered the same fate. While retailers no doubt have beefed up cybersecurity, consumers should expect, and be prepared for more breaches. Unfortunately, most of us won't be, according to Eleanor Blayney, consumer advocate for the Certified Financial Planner Board of Standards (CFP) Board. And a data breach in which our credit card is compromised may be the least of our concerns. After all, that problem is rather easily solved by the lender issuing a new card. It's a different story when hackers actually steal your identity and Blayney says most consumers are woefully unprepared to cope with the resulting financial consequences. "As long as we exist, transact, and communicate in today's world, none of us is immune to the devastating financial and personal consequences of identity theft," Blayney said. "Consumers must confront the reality that there is constant risk of their personal information falling into the wrong hands, and need to know what to do when their information has been hacked." Let's start with prevention. This holiday season, put your debit card away. When you shop, carry and use cash or a single credit card. If your debit card is compromised, a thief could clean out your bank account before you know it. With a credit card, your liability is usually limited to about $50 – and even that's normally waived if you report a fraudulent purchase quickly. When you bank or make purchases online, make sure your passwords are robust and unique. When you access these accounts, only do so over a secure network. That means avoiding accessing any important personal information through open, public Wi-Fi at a coffee shop or airport. A survey by Trend Micro, a computer security company, suggests many consumers are vulnerable in this area. The survey found that Internet users participate in a variety of potentially risky behaviors, including browsing suspect websites and allowing apps to access public information from their social media profiles. The company says the survey results suggest consumers need to do a better job of learning about ways to protect their private information and put these protocols into practice. "Today we have so many choices to communicate and share our lives with friends and family online and through social networks," said Kevin Simzer, chief marketing officer, Trend Micro. "But as the number of ways to communicate increase, so do the threats to our private data. Internet users need help navigating the complex landscape to keep their personal details private." How will you know if you have become an identity theft victim? Unless your card has been compromised at a major retailer, the news might not reach you until a lot of damage has been done. Blayney says your best chance of staying on top of it is to review bank and credit card statements. Look for erroneous debits or charges. Pay attention to health care bills. After visiting the doctor pay attention to the ensuing Explanation of Benefits (EOB) for any discrepancies in services, insurance coverage, and charges. When you get your annual Social Security statements, look closely at your most recent earnings total. If it is larger than what you actually earned, it could mean someone is using your Social Security number. At least once a year, get copies of your credit report from all 3 credit agencies at www.annualcreditreport.com. The report will show what credit accounts are open in your name. If you find one you don't recognize, it's likely you've been victimized. "We have to be our own detectives, constantly on the watch for theft of our personal and financial information," said Blayney. "This means paying regular and frequent attention to a variety of key statements and reports. 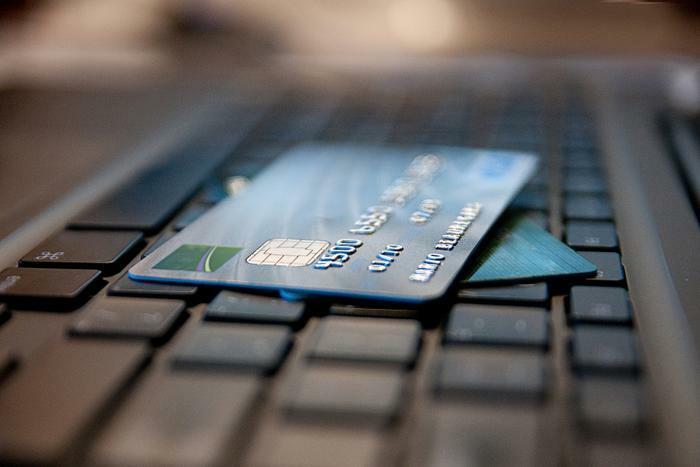 Retail security breaches: why are they so commonplace?